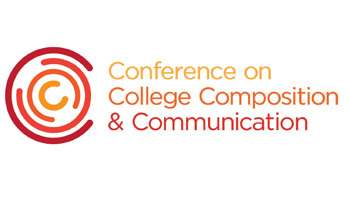 "The Conference on College Composition and Communication (CCCC) is a constituent organization within the NCTE. George Washington University's program is one of nine recipients of this award. Established in 2004, this award honors up to 20 writing programs a year. To be eligible for this award, programs must be able to: demonstrate that the program imaginatively addresses the needs and opportunities of its students, instructors, institution, and locale; offer exemplary ongoing professional development for faculty of all ranks, including adjunct/contingent faculty; treat contingent faculty respectfully, humanely, and professionally; use the best current practices in the field; show that the program administrator (chair, director, coordinator, etc.) has academic credentials in writing; use effective, ongoing assessment; use effective placement procedures; create appropriate class sizes; and model diversity and/or serve diverse communities. There is a systemic, systematic approach to supporting and celebrating writing at George Washington University. The first-year writing courses are capped at 17 and are taught by instructors in stable, full-time, renewable positions (some with research/service expectations and some without), most with the ability to be promoted. Faculty teach through the disciplinary writing expectations/conventions of their home discipline (which are diverse). They were able to keep and then grow their Writing Center, and the writing program also offers “writing reviews,” a year-long guided self-study of writing within a department. Indeed, the selection committee believes that George Washington University can serve as a model for other institutions on a number of levels, including their successful integration of FYC, WID, and the writing center as part of a newly independent writing program and the three divisions working to support one another. The committee greatly appreciated the attention paid to faculty development for full-time faculty, graduate students, and adjunct faculty through regular meetings, workshops, mentoring, and a rhetoric and composition reading group. Furthermore, they appreciated the data-driven nature of the assessment of the various divisions. The George Washington University program will be announced as a recipient of the CCCC Writing Program Certificate of Excellence on March 16, during the 2018 CCCC Annual Convention in Kansas City, Missouri. For more information about the CCCC Writing Program Certificate of Excellence, see http://www.ncte.org/cccc/awards/writingprogramcert."